Marilza Lima, based in Curitiba, Brazil, has been a waste picker for 16 years. She has been a member of a waste pickers’ cooperative called Cat@mare (Cooperativa de Catadores e Catadoras de Materiais Recicláveis de Curitiba e Região Metropolitana) since it was founded in 2006. 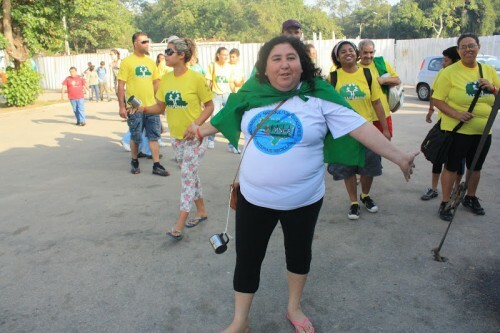 She is a member of the MNCR, the national waste pickers’ movement in Brazil. She is a representative of the state of Paraná for MNCR’s national committee. Marilza says it’s important to exchange experiences and learn about waste pickers’ experiences in other countries. It’s also important to bring together these social movements and realize that we are all fighting to achieve the same objectives: the environment, dignity and respect for livelihoods. “I respect all religions and races, and working together for the environment is positive for everyone”.